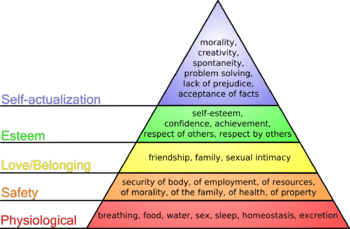 Based on Abraham Maslow’s Hierarchy Of Needs. (*) Abraham H. Maslow (1966). The Psychology of Science p. 15.